Hello all! I’ve been slacking on my blog lately. Mostly because of work and I recently finally moved considering it’s been in the works for the past year or so. I’m just starting to settle in and me being a creature of habit it’s truly been a hectic change. I’ve been traveling back and forth to my new place for quite some time, so I did not have to give it an extensive space clearing as I typically would if I were to have moved into a whole new place. So I did my usual incense burning to help liven up the space and give my place a new and permanent welcome. Incense and I have been bonding quite a bit these past few months and burning it has become one of my favorite spiritual tools and hobby. It can be very useful to help re freshen, lighten and clear up any space. 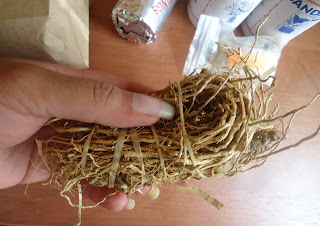 I’ve been doing several incense space clearings for relatives and friends and coupled with their intention for prosperity, peace and health it seems to be working and evoking positivity into their spaces. While out shopping for more incense recently, I came across a new place to get my usual stuff as well as new interesting stuff I’ve never tried before. I usually get my incense from local street vendors in NYC, as well as charcoal, Shea butter and a variety of things. 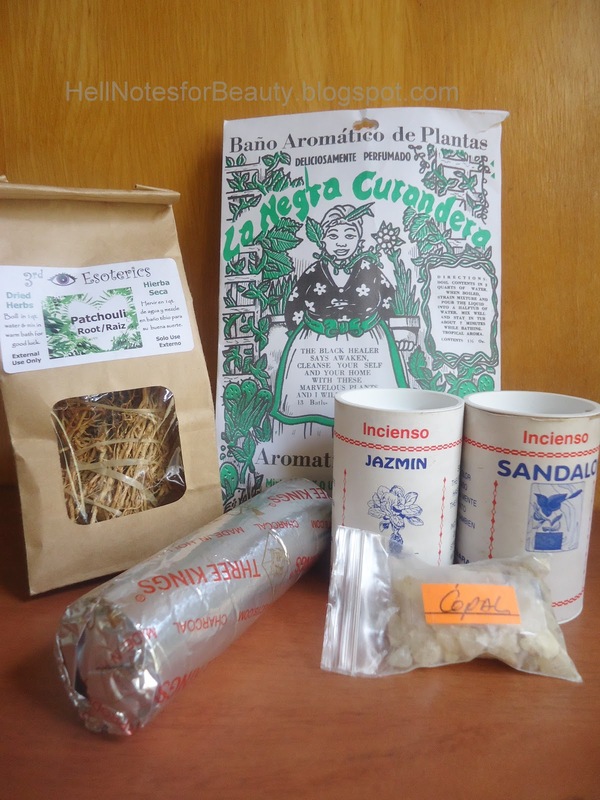 But I decided to venture into what many know as a “Botanica” known throughout many Hispanic/Latin communities throughout the U.S especially large cities like NYC. 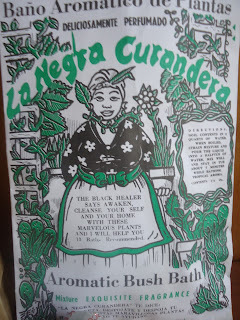 A botanica, known mostly throughout Caribbean communities, is the go to store for all things spiritual, religious etc.These Botanicas cater mostly to African and Afro- Caribbean beliefs although there are many Native American spiritual tools as well as Hindu and a variety of other spiritual and religious items. Botanica translates to botany, where you would find a variety of fresh herbs although typically at these places (depending on where you go) you don’t find them fresh per se, but workable nonetheless. It’s truly an interesting place to visit.You will find candles of all kinds, oils, incense, charms, statues books and the list goes on. I was even offered to have my fortune read although I refused. I prefer to keep my destiny a surprise, spontaneous. And besides most of the psychic readings require some form of follow up which ends of costing lots of money in follow up products from the same botanica that is giving you the reading. Which is fine if you are curious as to what a fortune reading may be like, but when it comes to spiritiuality I feel like it’s something that is cultivated and experienced from within and much more complex and personal to each person. I prefer to venture into my own spirituality as opposed to paying someone else. 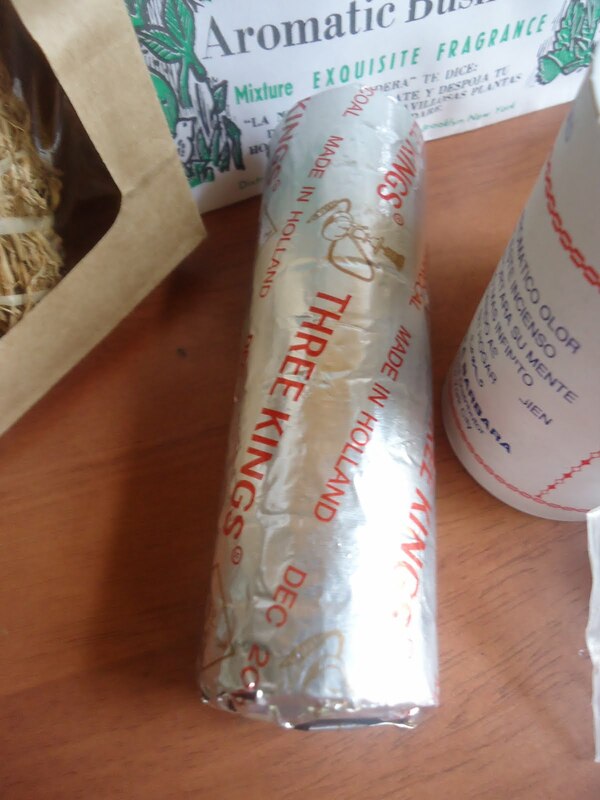 So that is what I did, I quickly picked up what I needed and went along my merry way…..
After I picked up my usual, my attention was drawn to this bag. As you all may know from my essential oil post I do not like Patchouli at all. But when I opened this bag of dried patchouli herb I was truly converted. The scent is not so overbearing like the essential oil. It has this very warm and soft scent that truly caught my attention. I decided to buy this dried pack for a Aura bath I have planned for my cousin and myself. 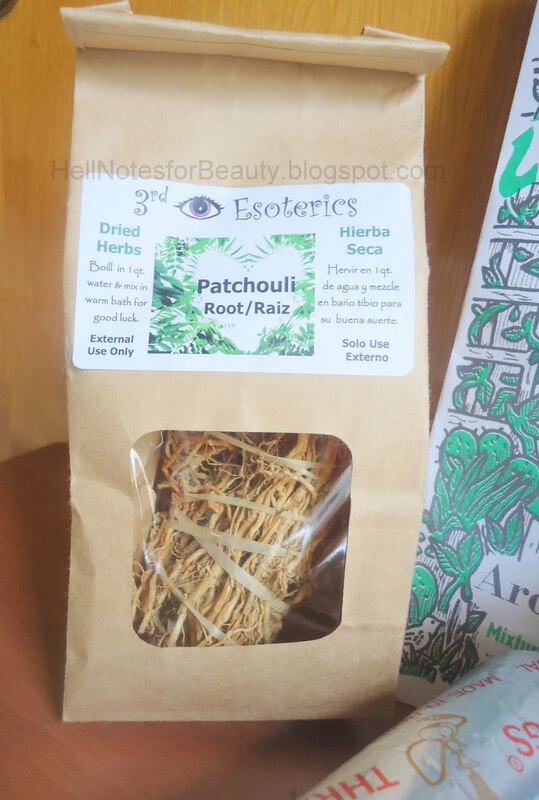 Patchouli is known to help increase luck, protect against negativity and low vibrations. Patchouli helps ground your mind and thoughts as well as promote peace within yourself and surroundings. Patchouli also purifies against negativity from within and from our enviornments. 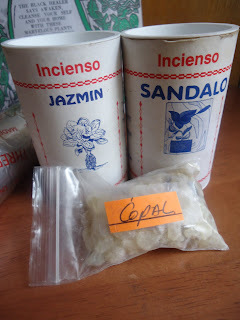 I also got 2 new incenses, Jasmin and Copal. Sandalwood of course is my favorite. Jasmine is used to help attract prosperity, positivity, love and money. Jasmine has this very soft flowery scent, not as aromatic as sandalwood but pleasing at the least. 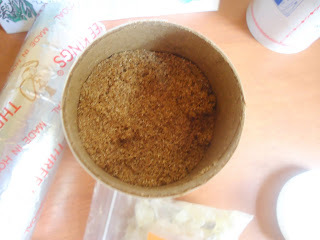 I also got a sample bag of incense, this time I went with Copal. I’ve been using it mostly for purification purposes. Copal is very popular throughout Mexico. 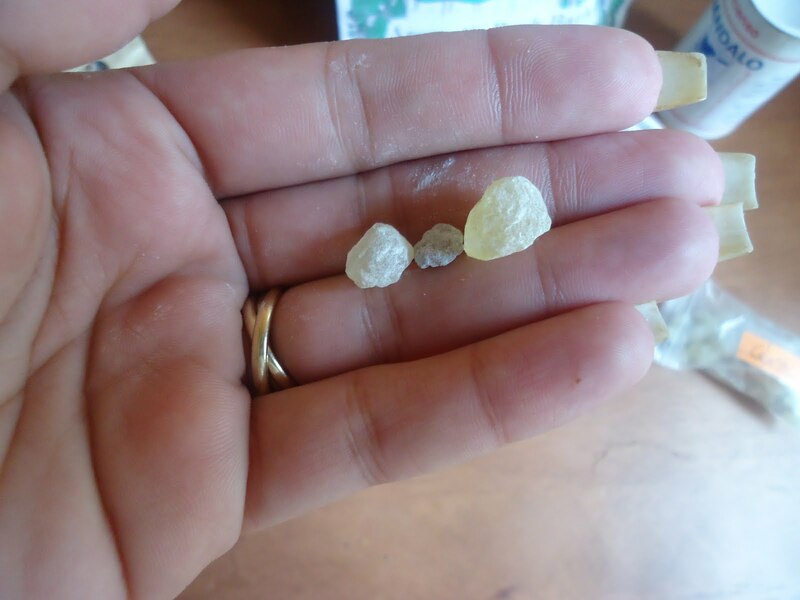 The Mayas burned copal for a variety of purificatory and ceremonial purposes and it is still used today for the same purpose. Of course I stocked up on charcoal…. One other interesting thing I picked up at the botanica was this herbal spiritual bath pack. 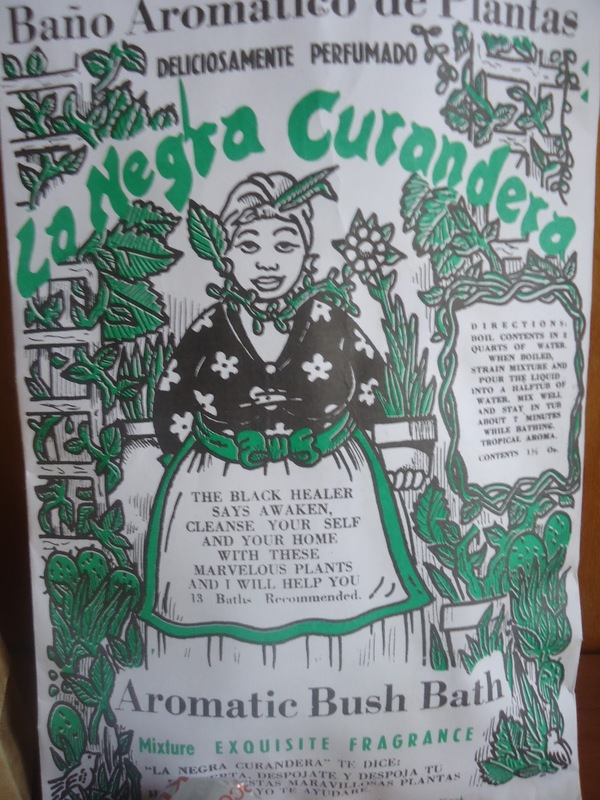 The name of the pack is called La Negra Curandera (The Black Shaman Healer). A friend of mine had mentioned she was dealing with some health issues and wanted to improve her aura. So I thought I’d pick this up and see what I end up making. 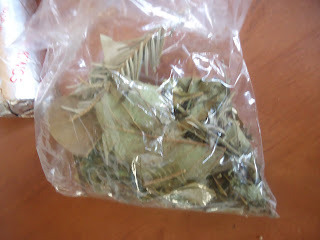 Inside the envelope werw a variety of dried herbs such as pine, bay leaves and a few other herbs in a clear plastic bag. Soon as I get settled and a chance I will make a small Aura Bath batch and see what works out. So this is my small little venture out into the “magic” store. A few things I will be using to help enhance my aura and meditation sessions these next coming weeks.